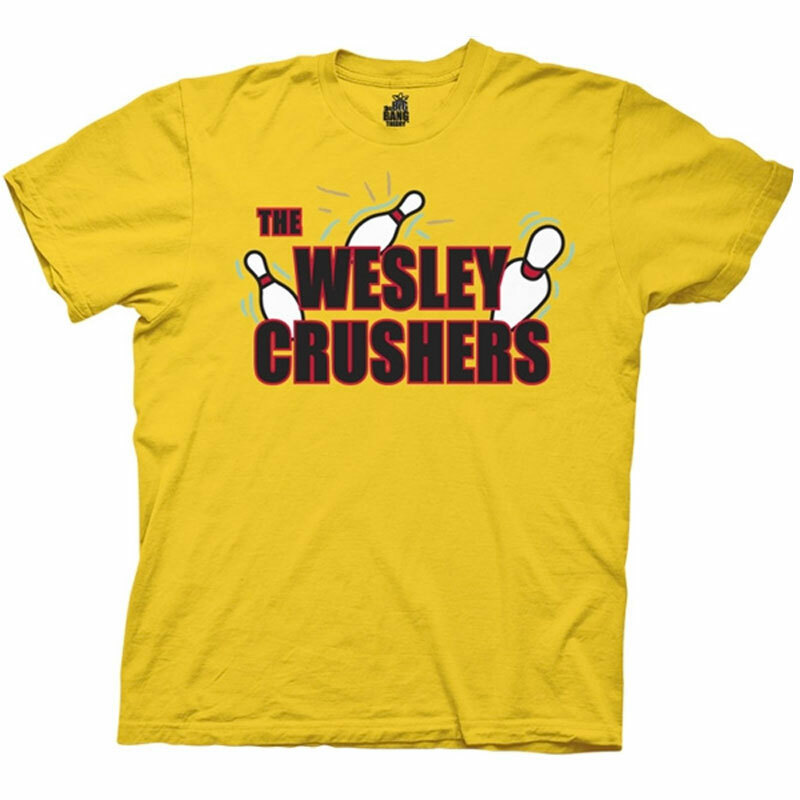 If you're on Sheldon's side, you'll definitely want one of these "Wesley CRUSHers" T-Shirts. They're based on his bowling team that hinged on the defeat of Whil Wheaton, also known as Wesley Crusher from Star Trek: The Next Generation. Get your Shirt on and let everyone know you share the same arch-nemesis as Sheldon. He must be destroyed, so get down to the Bowling alley and do some Crushing! Feature: - 100% cotton, screen printed. Yellow color. Unisex.